Do you want to follow Android standard for displaying popups? Do you want to remove extra graphics to reduce size of your build? Do you want to display native popup from Unity for better user experience? If you have any of these concerns, then you have come to the right place. 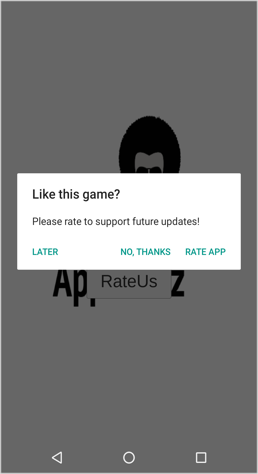 In this blog post, I will be creating native Android popups from Unity. Popup is one small screen or some alert message which asks user to take some action. Now let's create some simple popup. Create new Unity project and save scene to your assets folder. Create script and name it as you wish. I have named it PopupView.cs. 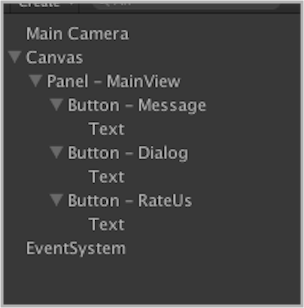 Now let's write some code for adding event listener on button click. Create three methods for each button and assign reference on button click event. 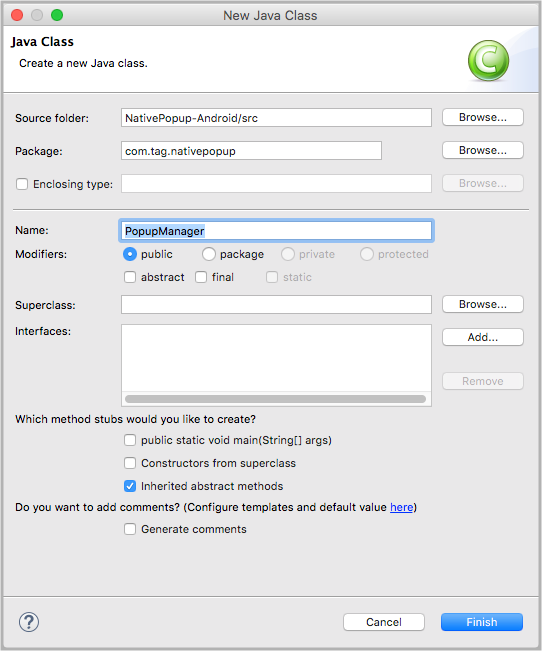 Create enum for message state returned from Android native dialog actions. Now let’s register delegate event listener for native popup actions. In this classes (B section of each popup) we have created gameobject and we are using this gameobject-name to get event callback. We are using this names in UnitySendMessage() to get callback from android. So do not change name of Gameobject. Awesome! you are done with basic code! Now let’s write code to create popups in native Android using Android Studio or Eclipse editor. To do that, Create new Android project. If you don’t know about android studio and how to create new project then please refer Create New Project in Android Studio. Don’t worry about code for now. Just copy it and paste it in your file. If you face any issues in creating project or file then you can download source code from the bottom of this blog post. And once you are done with downloading the project, you can copy Plugins folder into your Unity project. Coming back to Android Studio, create new file named PopupManager. In this class we are using UnityPlayer.UnitySendMessage() to send message to Unity and we are using gameobject-name as parameter. This must match with gameobject which is created in particular popup class(C# file). 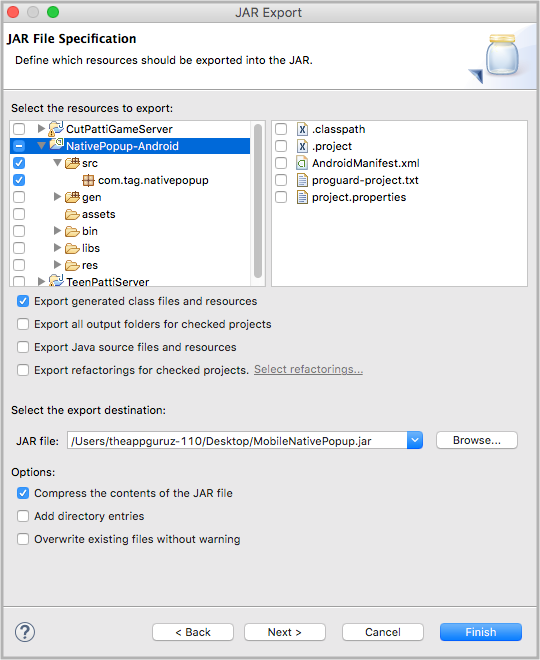 Now export that file as .jar file from Eclipse/ AndroidStudio and put this .jar file to Plugins >> Android folder. If you face any issues in creating Android project or .jar file then you can download source code from below link and just import(Drag and drop) Plugins folder to your unity project. I hope you found this blog post helpful. If you have any issue or doubt about Android native popup then feel free to ask in a comments section. I will surely get back to you ASAP. Got an Idea of Game Development? What are you still waiting for? 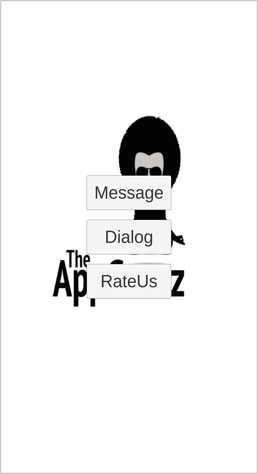 Contact us now and see the Idea live soon. Our company has been named as one of the best Unity 3D Game Development Company in India. I'm a Professional Game Developer, truly passionate about creating different types of games and learning different gaming concepts that can enhance my knowledge. 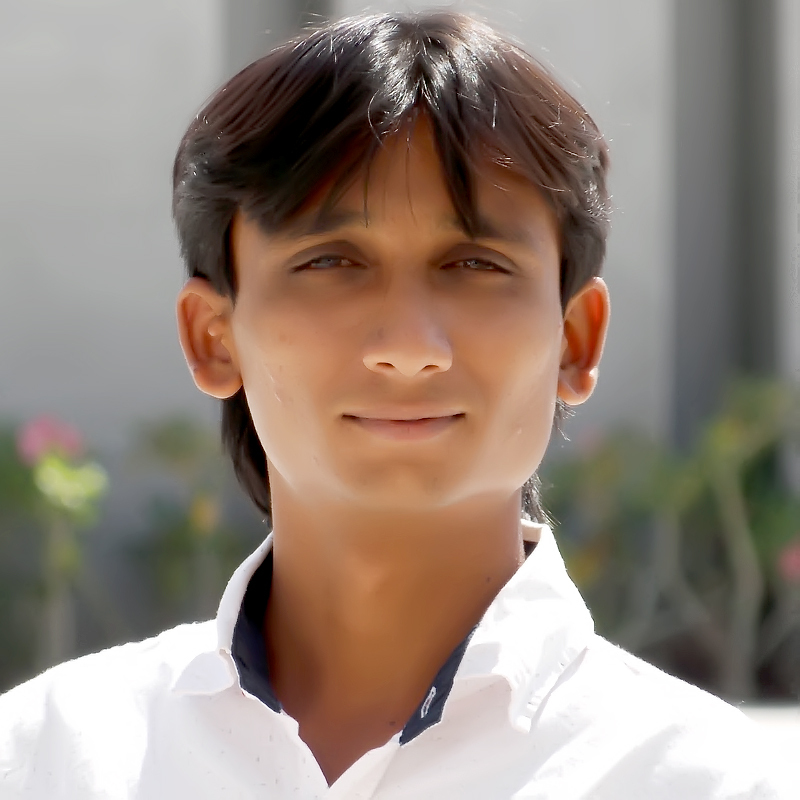 Games are my passion and I aim to create addictive, unique, creative and high quality games.